Dr. Robert Hester is a native of Starkville, MS, and a biological engineering graduate of Mississippi State University. He did a year of graduate work in mechanical engineering at MSU, then completed a PhD in biomedical engineering jointly from Mississippi State University and the University of Mississippi Medical Center. 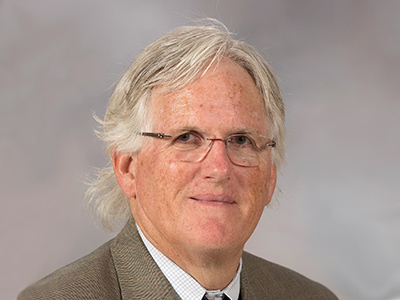 He joined the faculty at UMMC in 1985 and rose from assistant professor to his current rank of professor where he is also the director of the Center for Computational Medicine and a Billy S. Guyton Distinguished Professor. Dr. Hester’s graduate research, under the tutelage of Dr. Arthur Guyton, focused on mechanisms responsible for skeletal muscle blood flow control. Dr. Hester was a post-doctoral fellow in the laboratory of Dr. Brian Duling at the University of Virginia where his research used microcirculatory techniques to demonstrate that both arteriolar oxygen levels and wall shear rate are not regulators of arteriolar diameter during exercise. Dr. Hester’s current research focus is continuing the computational simulation of human physiology started by Drs. Guyton and Coleman in the 1970s. For the last 15 years, he has been leading the development of HumMod and other integrative physiological models. Dr. Hester is also president and CEO of HC Simulation, LLC, a software company developing HumMod for commercial purposes. His research has been funded by NIH, NSF, and American Heart Association. Dr. Hester has over 40 years of experience in research in integrative physiology. He has also held numerous national leadership positions, including president of the Microcirculatory Society and program chair of the American Physiological Society.